Dr. David Jernigan, Biologix Center: Parasites Can Cause ADD, Chronic Fatigue, and Mood Swings! Remember how as children everything went into the mouth, including really disgusting things? 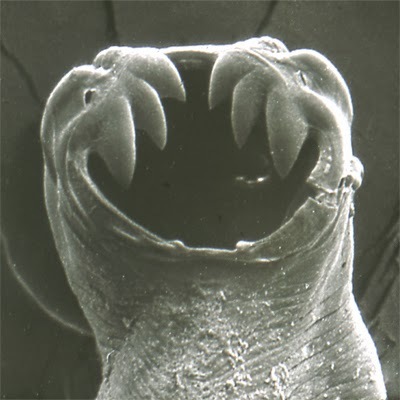 Some parasites can live inside the body for up to 25 years! Parasites can be the cause of ADD, mood swings, and chronic fatigue in children and adults. 10-25 years without ever leaving the body. Killing the parasites can go a long way towards bringing the pH back into balance. There are many parasite cleanses and supplements on the market. Obviously my personal favorite is the one I developed, Paragen, from Jernigan Nutraceuticals, which is broad acting and gentle on the gut. Other botanicals that are typically used are combinations of Black Walnut extract, Artemisia, Green Pumpkin seed, garlic, and others. Clove oil is very important since it can dissolve the parasite eggs, not just kill the adult parasites. Remember parasites are often not easy to eliminate and can require the help of your natural doctor to determine if you have them and what your unique body needs to correct the problem.